Last month’s United Nations climate talks in Poland sought to get the world on track to meet the Paris Agreement’s long-term goal of keeping global warming well below two degrees Celsius (2ºC). Toward that end, negotiators from the Agreement’s nearly 200 signatory nations were asked to report on their country or region’s progress toward fulfilling its Paris pledge, or Nationally Determined Contributions (NDC). But just how accurate were those progress reports? That depends on the integrity of the underlying greenhouse gas emissions data that each country used to assess its performance toward meeting the emissions reduction targets spelled out in its NDC. The measurement, reporting and verification (MRV) of a country’s overall emissions and emissions reductions involves culling and validating emissions data from multiple sources, including firms—industrial, nonprofit and government entities—in different economic sectors. Building reliable firm-based systems for emissions MRV is no easy task, especially in developing countries where misreporting of environmental data can be significant, but a new MIT-led study in Nature Climate Change identifies challenges and opportunities to achieve that goal. 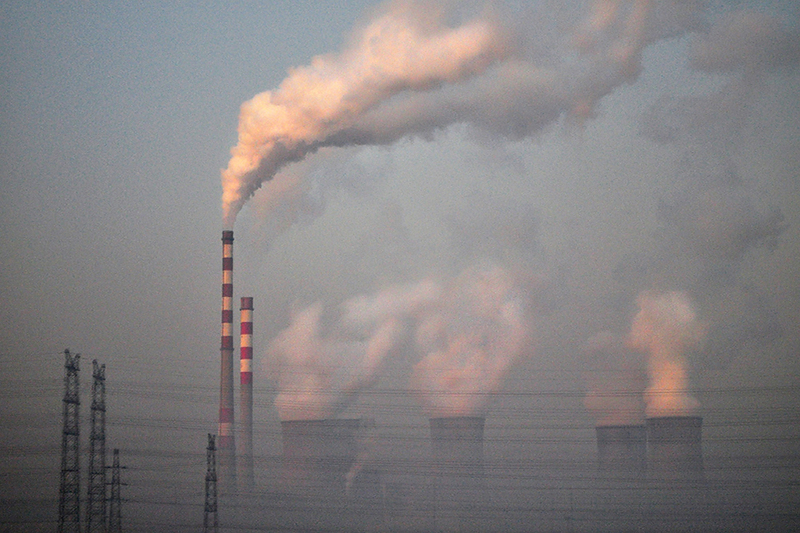 Co-authored by researchers at MIT, Tsinghua University and Wuhan University, the study focuses on China, the world’s largest carbon dioxide (CO2) emitter. China’s climate-change mitigation strategy centers on a national emissions trading system (ETS) whose success depends upon accurate emissions reporting at the firm level. Using data obtained from two of China’s pilot regional ETS programs, one in Beijing, a highly developed major city, the other in Hubei, a less developed province, the researchers compared firms’ self-reported CO2 emissions numbers with those verified by independent third parties. The average discrepancy in these numbers decreased significantly in Beijing, going from 17 percent in 2012 to 4 percent in 2014 and 2015 for approximately 400 firms. In Hubei, which launched its system one year later, the number of discrepancies started lower and showed a statistically-insignificant decrease (from 6% in 2014 to 5% in 2015).